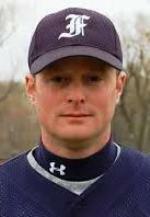 Coach Dulin is entering his fourteenth year at Fisher College where he was named Sunrise Conference Baseball Coach of the Year for six straight seasons (2004-2009) and has qualified for post season every season since 2003. Additionally, he was named the NAIA Region X Baseball Coach of the Year for five consecutive seasons (2004-2008), and was named the 2007 recipient of the NAIA Region X Coach of Character Award. Coach Dulin has coached numerous All-Conference and All-Region Players, four Rookies of the Year, six Players of the Year, and has seen seven players go on to play professionally. The MBCA is excited to hear Coach Dulin share his knowledge about throwing progressions and how to integrate them into your daily practice plans.